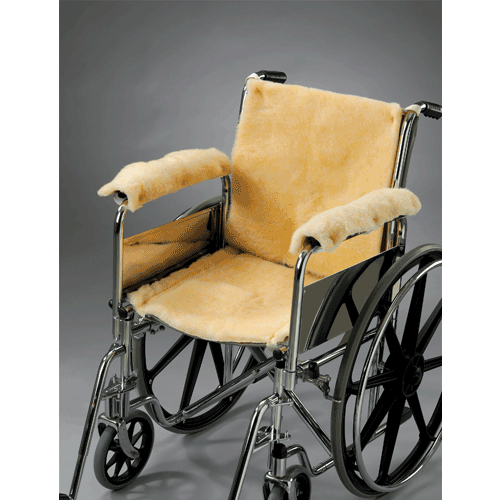 This synthetic fur covered Wheelchair Soft Seat by Posey provides long term seating comfort for patients. This product features a unique benefit in it's design. The design is a soft synthetic material that provides comfort and helps protect sensitive skin. The synthetic fur padding also promotes proper air circulation. 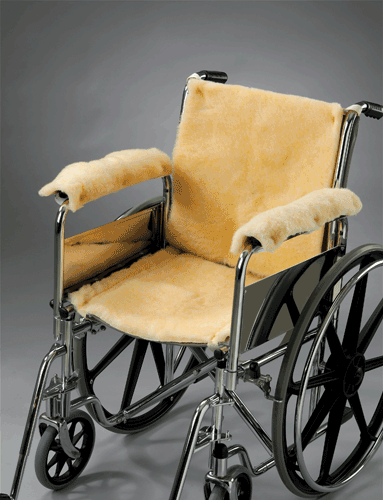 Traditional wheelchair padding is manufactured with vinyl or leather. This type of material can hinder air circulation and can cause the skin to stick. An excellent remedy to these instances is the addition of a unique material chair pad like this product. These Wheelchair Pads are available as seat or arm rest covers. These covers fit almost all wheelchairs that have standard full-length armrests. Armrest pads and seat/back pads are sold separately from each other. The pads have an additional benefit of being machine washable giving you the peace of mind that you want. Acquire the comfort this wheelchair pad without the aftermath of vinyl or leather. BUY Posey Soft Covers from Vitality Medical today.